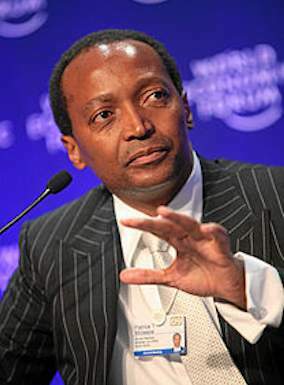 South Africa’s first black billionaire, Patrice Motsepe, on Wednesday said he has signed up for the Giving Pledge, becoming the first African to join some of the world’s wealthiest people in donating vast sums of personal wealth to the poor. The Giving Pledge is a philanthropic initiative started by US billionaire Warren Buffet along with Bill and Melinda Gates that has recruited nearly 100 billionaires, mostly Americans, who have pledged to donate the majority of their wealth to charity. It amazes me how generous people can be.